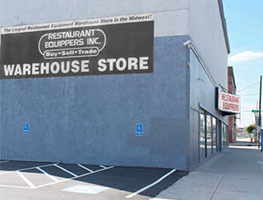 Since 1966, Restaurant Equippers has been an industry leader in buying and selling Used Food Service Equipment at our Columbus, Ohio Warehouse Store. Our thorough state-of-the-art reconditioning process ensures every item offered for sale to be in guaranteed working condition. If you desire quality Used Equipment, we invite you to visit our Columbus, Ohio Warehouse Store to talk with our equipment specialists about your needs and to experience our enormous and fast-changing inventory of Used Equipment and Supplies. We are frequently in the market for additional used items to sell at our Columbus, Ohio Warehouse Store. If you are near central Ohio, please call us first (800) 235-3325 or email sales@equippers.com for more information. Depending upon what you have to offer and your location, we can arrange for one of our Used Equipment Specialists to meet with you and inspect your items to determine value. 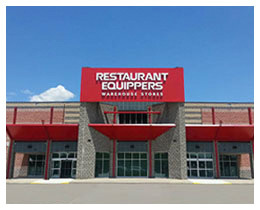 Used Equipment sold by Restaurant Equippers is guaranteed to be in working condition. If you have questions or concerns about your Used purchase, call our Customer Service Department at (800) 235-3325 to discuss or Chat with an Equipment Specialist. With Values so Great, Consider buying NEW!